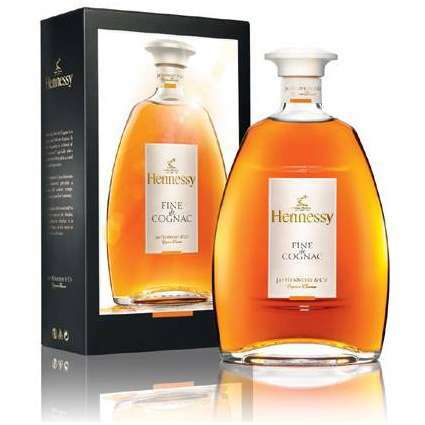 Hennessy Fine De Cognac A new blend elegant and floral with naturally well-balanced tones. Its delicate bouquet delights young consumers who are traditional in their tastes but open to new adventures and experiences. Its bouquet of citrus blossoms and cinnamon precedes a flavour of candied mandarin forming a palpable harmony. An ideal cognac to be enjoyed straight or on the rocks increasingly employed in long or mixed drinks. Hennessy Fine de Cognac is a harmonious blend of about 60 floral and fruity eaux de vie originating from the first four growing areas of the delimited region of Cognac with a predominance of Fins Bois.